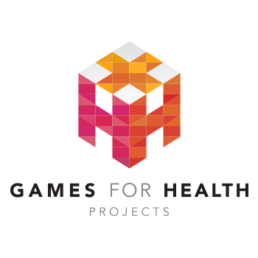 Games for Health and Game Solutions Lab have a common goal: creating fun and engaging experiences that improve health and well-being. The games positively contribute to the current business models that nowadays are often in decline. We even tap into totally new business models. The business domains we work for are Healthcare, Corporates and Education. Our team consists of approximately 30 people. And we expand. We regard internships as normal teammates that are eager to learn as we do. We are interested in your brains and not your coffee fetching skills such other companies do. Our internships of universities and Higher Vocational Educational Institutes prove our value: good rates and good job perspectives. You will be challenged. Serious games are (semi) structured (electronical) playing environments in which (entertainment) gaming principles are used (Procedures, Theme, Play) to learn skills, apply knowledge and even transform attitudes of people in order to improve and transform business models (Reality). The procedural principle demands programming people who are skilled in the science and art of architecture of data and rules. The Theme principle demands of arty people who are skilled in visual, audio, video and so on to persuade people to play. The Play principle demands people who are skilled in the art of interaction and the type of gaming principles like conquer, manage, immerse, socialize and perform. The Reality principle demands people that are skilled in the domain of our partner and customers in Healthcare, Corporates and Education. We love validating our games and apps. Validated games and apps define customer value. Therefore we work closely together with universities and other educational vocational institutes. Therefore we work closely together with our partners and clients. Therefore we present our games and apps at scientific, applied and sales fora. Therefor you will act in these domains, experience the dynamics of our world, and learn rapidly. User Experience tests show that people respond and listen more eagerly if they hear and see a person. Therefore we apply for instance gamified video and audio chatbot surveys and personal advisors in to boost self-management skills. Spoken language driven games and apps will increase in volume. Scientific research shows that understanding spoken language is something completely different than written answers. For spoken language we lack knowledge to ‘translate’ spoken sentences into logical text (speech2text). This implies: valid syntax and semantics. The written answers we can analyse with for instance Watson and tools of the Radboud University (AI, deep Learning). We work together with the Radboud University and the organisation Sensire. It is an applied game that helps elderly to become more resilient. We will test for a game developed in the domain of eHealth.